I love ♥ love how this flower turned out. 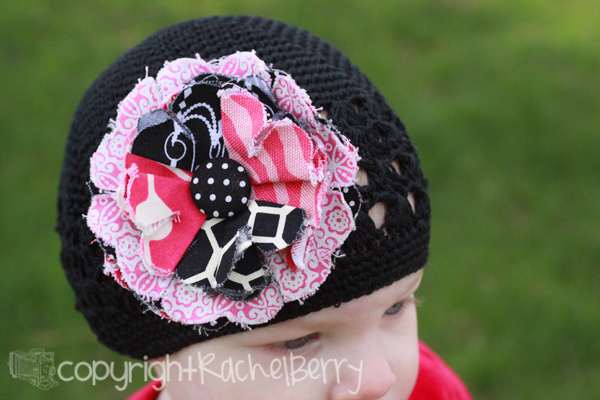 It's a jumbo sized Pressed Peony that comes with the hat and look so stinking cute on! I posted it in my Etsy shop & now I think I need to go make a few more. That is too cute. She is adorable. I love the flower and the model. I LOVE the second picture. The way your little one has her mouth in an O. So cute. The flower turned out great! ADORABLE! And the hat & the peony are cute too:) Tee hee. 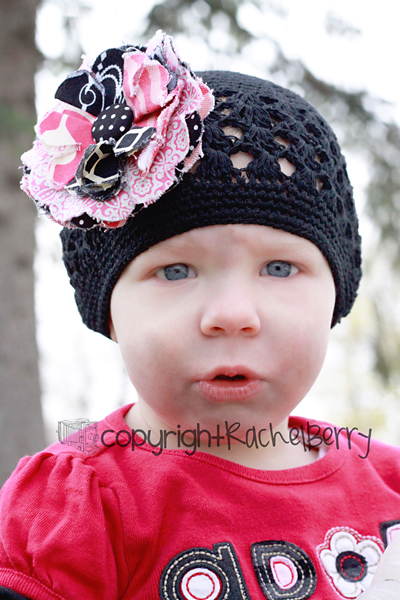 I think you should make some of those on headbands too for the warmer weather that is bound to come anytime now. ..
Oh I just love the black and white in there!! Did you make the hat too? Both are quite on the precious side!! Read your post below....so sorry for ya. 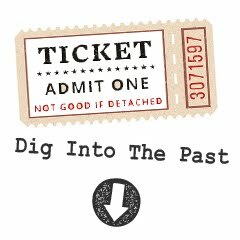 Next year we should get together b/c my past 2 b days have been, well....sucky. Do we expect too much, is it all the lead up of thinking about it?!? Who knows. Love ya and sorry it was not so good. Just so very cute...I love it! Oh my goodness, I LOVE that honkin' peony!! Do you have any hats in adult size? I love them! Ya, your pretty talented. :) I love, love, love the flower and hat. I think I need one. o u got me & I SO bought it!!!! oh... If only I had a girl!!! So stinkin cute! That is the cutest little bow. Thanks for the post. Does the sweet girl come with it????? I love this picture too dido. What a cutie. I love the hat it is soooo adorable. You are welcome to stop by my blog anytime - thanks for the kind words! Your blog is rockin'! I love how it's tricked out - I wish I knew how to do that!